Chrome plated brass with 1/4 turn ceramic disc. 180mm taps centres. Min width required to open levers 340mm. Includes shower kit & wall bracket. 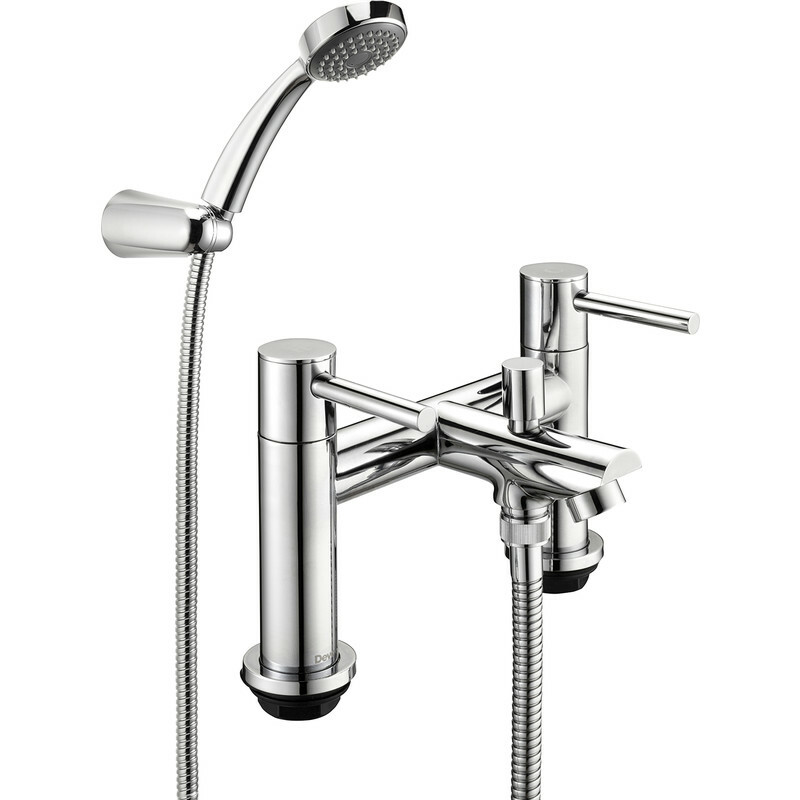 Deva Insignia 1/4 Turn Bath Shower Mixer Tap is rated 4.8 out of 5 by 6. Rated 5 out of 5 by Jockanese from Great taps Very happy with the new taps. Rated 4 out of 5 by Keriwill7270 from Lovely looking A little pricey compaired to other places on line, but needed it instantly. Rated 5 out of 5 by FloFace from Works well, looks great We bought this to replace taps that had broken due to being over twisted. Hopefully won't be a problem with these as with the lever you can clearly tell when the tap is off. They look quite stylish, and are easier to keep looking clean and shiny.